Bree grew up in Southern California, went to Corona del Mar High School and was recruited to play Division 1 volleyball for the University of San Diego. She graduated with a BA in Communications and Minor in Leadership. 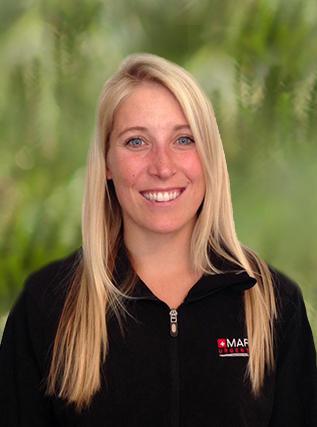 Bree joined Marque Medical in March of 2015. I love sports. I’m always up for a round of golf or an opportunity to hike, camp, fish or do anything outdoors. I coach girls club volleyball and play beach volleyball every Sunday in Corona del Mar. She loves to walk her energetic Boston Terrier puppy and play around with her cat she rescued from a shelter. I like doing things that make me happy, because in the end that's what life is all about!